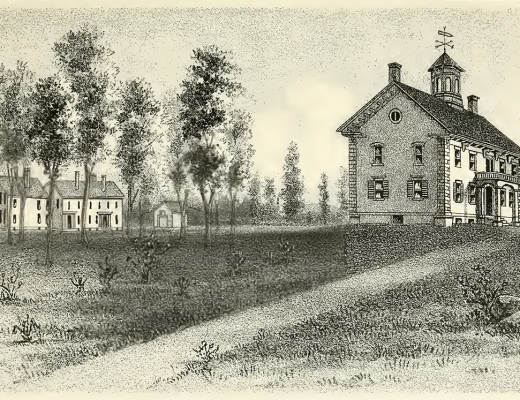 Though Benjamin Randall at first stood alone as a Freewill Baptist in New England, he drew strength from Tosier Lord, Edward Lock, and John Shepard. Lord had established an anti-Calvinistic church at Berwick-Crown Point in Barrington and another at Shapleigh, Maine. In June 1779, the Baptist churches at Loudon and Canterbury also rejected the doctrines of Calvinism. These churches never formally united with the Freewill Baptists and afterwards became extinct. They were important, however, at a time when Randall and his few church members needed fellowship with others of like faith. At first, newly developed Freewill Baptist churches were considered branches of the mother church at New Durham. Each congregation had its own monthly meeting, but members of the other congregations had their own monthly meeting, but members of the other congregations were expected to attend. Randall was responsible for baptizing individuals who joined the different congregations on profession of faith. For a number of years, in the interest of unity, Randall and his closest co-laborers personally visited other churches at least once every twelve months. Adapted from The Free Will Baptists in America 1727-1984 by Dr. William F. Davidson.